Life Learning Journey: Added a New Picture! I just changed the Introduction Paragraph's picture on http://www.squidoo.com/RecipesofGreen! 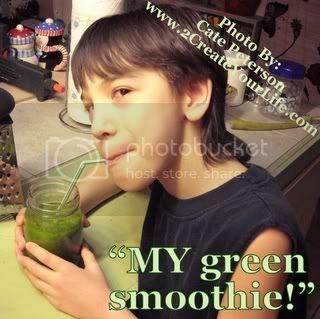 Yes, that is the J-Man growling at me for trying to take back MY green smoothie!